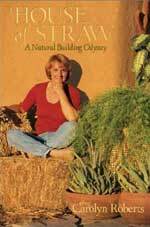 The Builders Without Borders (BWB) Straw-Bale Construction Guide was created to meet the growing demand for easy-to-understand instructions on building strawbale homes. It is designed for workshop participants, the communities that work with BWB and anyone who wants to build a comfortable, affordable home. 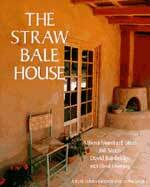 This book is a pictorial how-to guide on straw-bale construction basics that emphasizes low-cost methods to help those in the greatest need for affordable housing. For everyone who has a dream that they are not sure they can accomplish, but are dying to try. Carolyn Roberts is an outstanding example to those of us who are willing to work hard and to stand up for what they believe in. 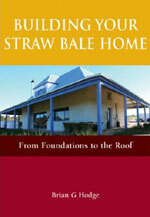 Part memoir, part construction journal, A House of Straw will inspire you with its joys and sorrows, warmth, humour, and above all its painful honesty. It takes courage to build a house. Reading someone else’s story can help you on the path. 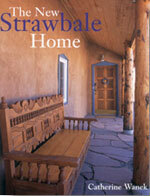 The New Strawbale Home compiles floor plans and images from thirty homes across North America, showcasing a spectrum of regional styles and personal aesthetic choices. 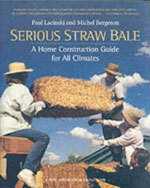 This practical guide discusses varying climate considerations and essential design details for problem-free construction and low maintenance, and also points out the ecologically friendly, energy-saving aspects of straw bale construction. Describes the best practices and new ideas in a step-by-step approach. It describes in-fill and load-bearing walls, the properties of materials used to plaster the walls, and how particular features are incorporated, such as windows, doors, arches, plumbing and electrical. It also describes new ways to construct straighter, thinner and easier-to-plaster walls. 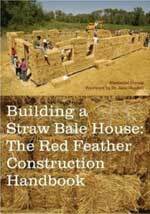 The best examples of straw bale construction can be found in houses built on poverty-stricken American Indian reservations by the award-winning Red Feather Development Group . Through years of research followed by the successful completion of over thirty-five housing and community based building projects, Red Feather has arrived at a straw bale construction prototype that reflects the needs of the communities with whom they work. 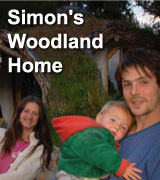 Also released as a DVD, see the author's website above. 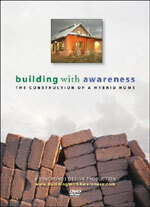 Follow the design and construction of one house - from start to finish - and see how aesthetics, comfort, and energy efficiency can all come from the same materials and design parameters. 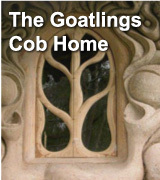 Ted Owens used the book A Patern Language to guide the design of his home. 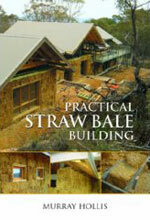 Re-write of 'Straw Bale Building' discussing the practical issues of: choosing bales; developing building plans; roofing; electrical, plumbing, and heating systems; building in northern climates. 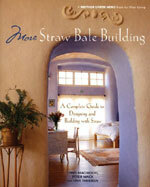 New material on: electric wiring and plumbing; updated on bale finishing; prefabricated straw bale walls; lots of case studies, photographs and illustrations; common mistakes; budgeting for low-, medium- and high-cost projects, and new testing data that is in no other straw bale book. 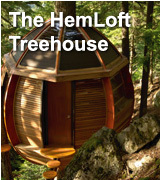 "This practical guide is filled with rich photos of homes, greenhouses, studios, sheds, open-air structures and more, each pulsating with unique yet subtle creativity. 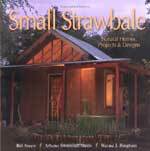 Both a pragmatic construction manual and a philosophical, artistic guidebook, Small Strawbale is an inspirational starting point for a strawbale dreamer, and a great source of information for those who are ready to get bailing." 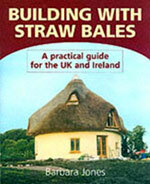 Barbara Jones is an experienced straw bale builder in the UK. The book has details of all the main construction methods and includes bale specifications walls and foundations, doors and windows, plastering, plans and drawings together with building regulations and planning permission.